Swimming past a BUOY! 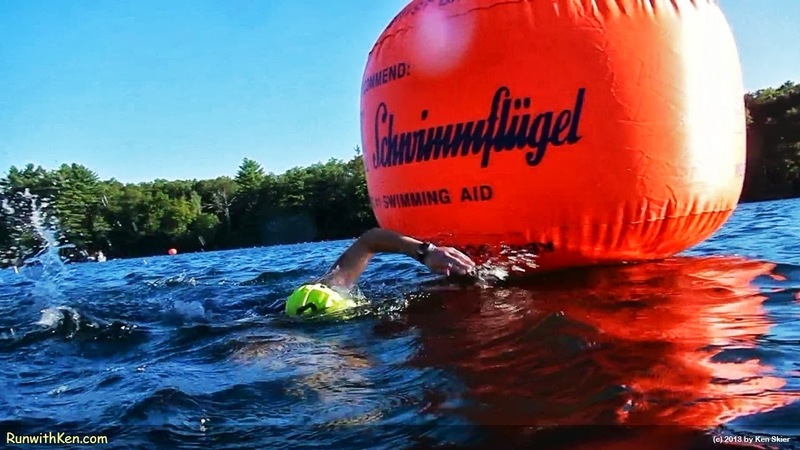 Open Water Swimmer at the Cranberry Trifest Sprint Triathlon in Lakeville, MA. Some swimmers thrash and struggle through the water, as if it is a wrestling match. But a good swimmer is graceful...gliding through the cool blue. I took this photo while swimming at the Cranberry Trifest Sprint Triathlon. You can see the swimmer moving effortlessly!